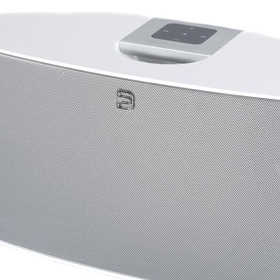 Kevin said: The Bluesound Pulse is a glorified, high-end, streaming boom box -- it even looks a bit like a boom box. Nonetheless, it streamed flawlessly, with an overall sound quality far superior to and an LF rendering far deeper and more accurate than that of any one-box model I’ve ever heard. The gist: Beautiful sound from this one-box solution.